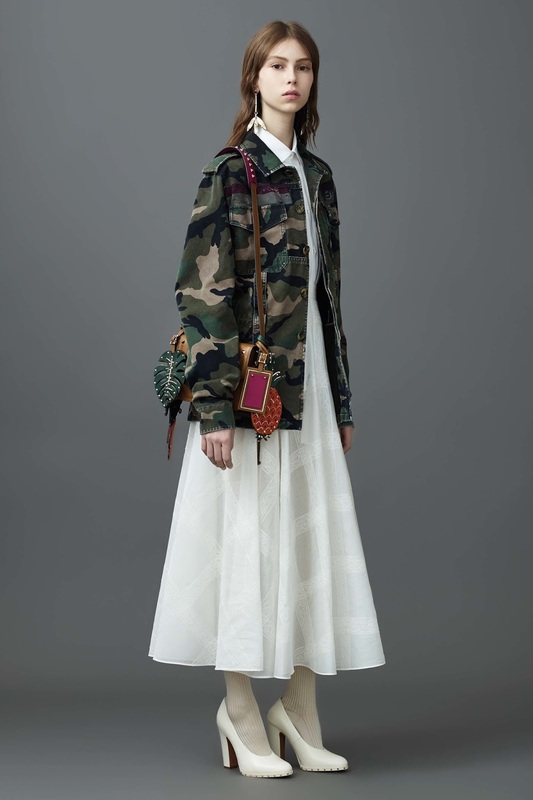 Really good resort collections are usually some of the most editorial because of their "year-round" nature. 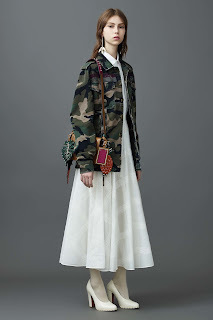 Personally, what I look forward to in Resort collections most, is the clothing's ability to tell a story. 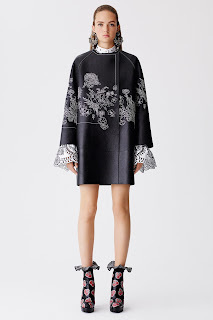 Whether it's a story of cruising in the Caribbean, nights in Dubai or sunbathing on the Spanish coast, Resort collections all have an underlying tone of relaxation and affluence that I love. 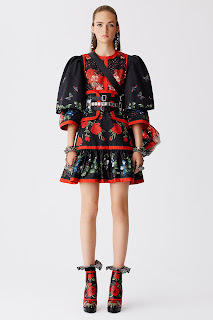 Sarah Burton did not disappoint with this collection. I was so excited by these pieces that is a feeling so rarely received by fashion these days. McQueen is the epitome of fashion as an art form and I cannot wait to see what Sarah will come up with next. If there is a pattern to be found in my favorite collections, it is the marriage of hard and soft textures. Elie Saab is all about femininity, but that does not necesarily make it a "girly" collection for me. The collection's effortless nature takes the pieces to a level where they can be worn by really different people in really different ways, which is what all good fashion should be capable of. I was surprised at how much I liked Fendi's collection. It was really fun and it just screamed "Resort" to me. Everything is very elegant and I can picture this collection in some amazing editorials. While I wasn't a big fan of the shoes, I did like the collection's bags. 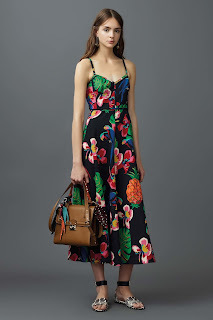 This collection was Valentino on vacation. I love the mixed prints and patterns, the accessorizing and especially the handbags. I have mixed feelings about this collection because I don't love every single one of the looks, while I find several of them really beautiful. If the virgin suicides were rich, I feel like this is what they would've been wearing. I can also picture Chloe and Halle wearing some looks from this collection on a red carpet. 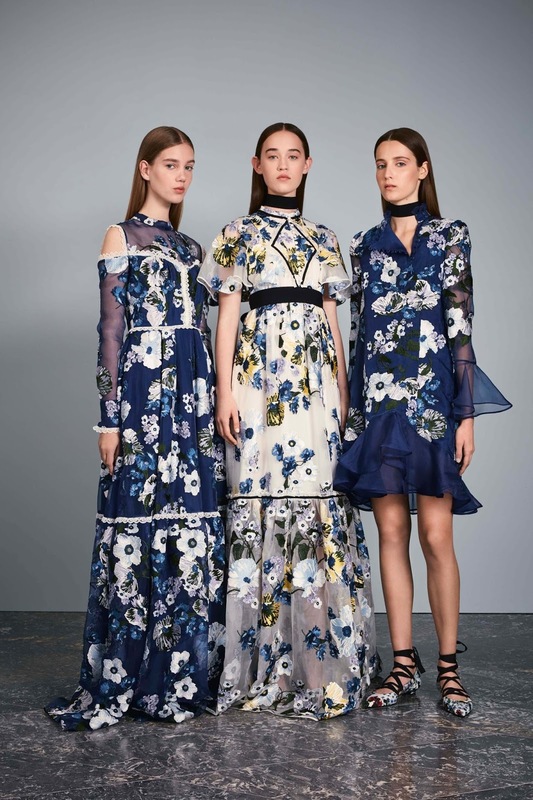 Those were my top picks from the Resort 2017 season! Some other collections I liked were Marchesa, Milly, Prabal Gurung, Rachel Zoe, Sacai, Sonia by Sonia Rykiel and Temperley London.